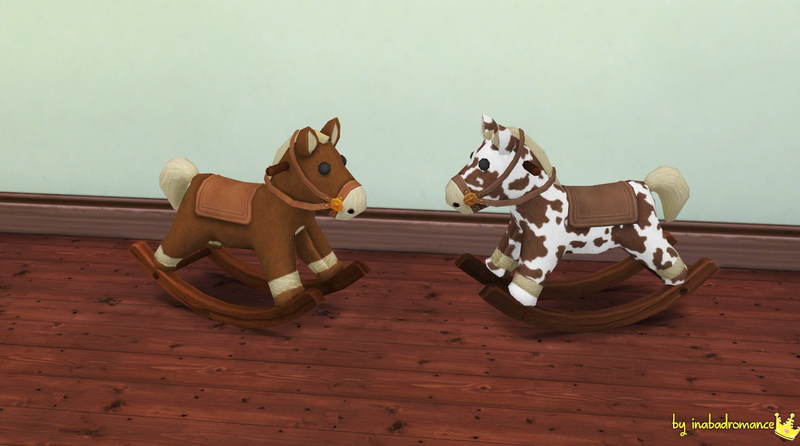 In a bad romance by Laura Peralta: S3 to S4: Rockin' Rider - Kids Decor. LOD 0: Vertices: 1326 / Polygons: 1502. LOD 1: Vertices: 521 / Polygons: 406. The main preview was taken prior to the sims 4 studio staff fixing a shadow issue. Everything has shadow (seen in image 2). This item has 11 swatches in total, only 6 unique horses. 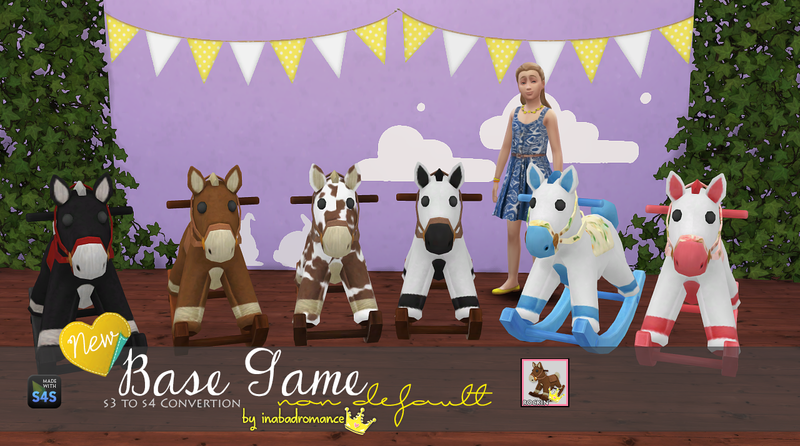 I’ve left the lots if you want to make your own recolors. ALSO, i’ve included in the download folder my PSD so it’s easier for creating your own designs. Please, If you want to re-share, don’t include my swatches. If you don’t want the repeated swatches, open the file in Sims 4 Studio and delete those.